With the increased adoption of automation across industries, job seekers for robotics profiles have seen a significant jump over the last few years with Maharashtra having maximum openings in this sector, says a report. According to data from global job site Indeed, there has been a rise of 186 per cent in the number of job seekers for robotics profiles between May 2015 and May 2018. During the same period, job postings in the sector grew 191 per cent. During the same period, job postings in the sector grew 191 per cent. 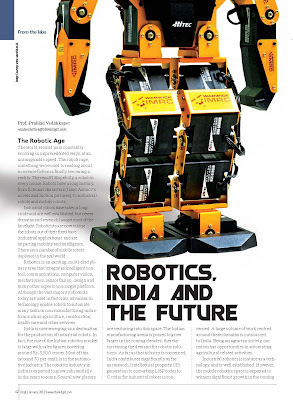 "Robotics is one of the most exciting sectors emerging in India today. 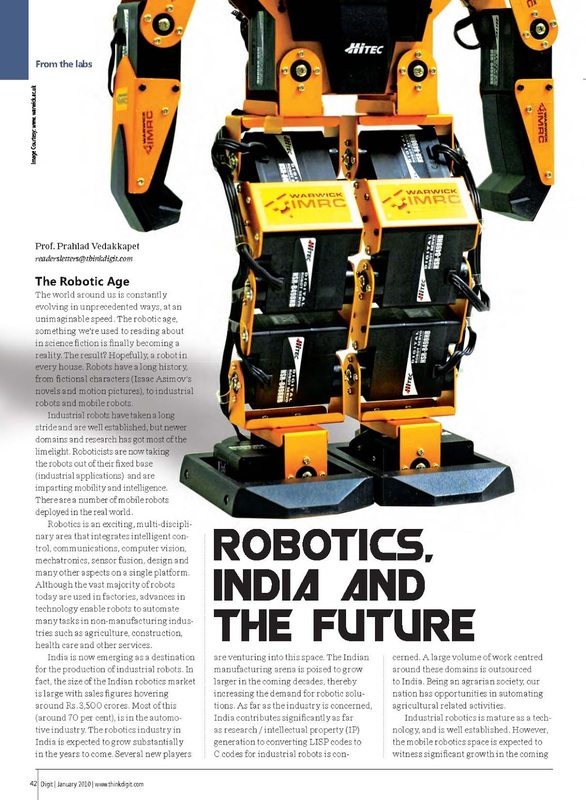 Sectors like construction, manufacturing and healthcare are boosting the demand for robotics talent, and there is enormous scope for its application across an even wider array of industries," said Sashi Kumar, Managing Director, Indeed. Kumar further noted that "as access to internet connectivity and open source platforms improves, a favourable environment for the sector’s growth and development is being created. Even as people fear that automation will take away jobs, robotics is creating new job opportunities for skilled resources." Over the last three years, while job seekers are increasingly looking at working in the robotics sector, companies within the sector are slowing down in terms of hiring. "Following the initial spurt in growth in 2015, driven by the government's investment of USD 13 billion in robotics under its Make in India initiative, hiring for robotics profiles has slowed considerably," the report said. The data further indicates that Maharashtra is the leading state in India for those seeking job opportunities in the robotics sector. Karnataka, which houses India's Silicon Valley Bengaluru, and Telangana, of which upcoming technology hub Hyderabad is a part, come second and third in terms of job seekers in the sector.